This is the BBQ counter outside the restaurant, which is also at the smoking area. 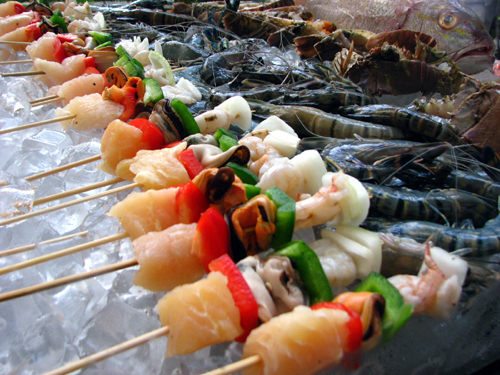 All you have to do is pick the seafood you want and pass to the chefs who will barbecue it for you. 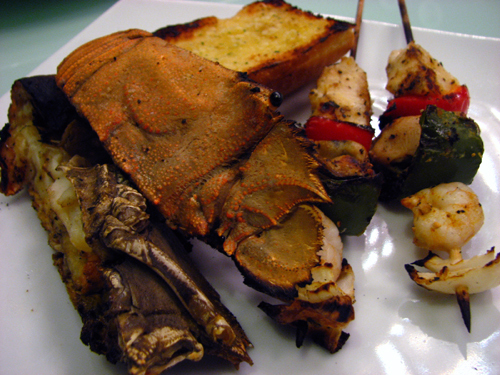 The options available are lobster, prawn, salmon, cod fish, squid, crab, skewer, garlic bread, beef patty and stingray. The skewers have onion, prawn, green and red pepper, mussel and fish. I eat all except the peppers lol :P Between the prawns and the fish are the lobsters. Well they aren’t exactly American Lobster but the smaller ones. Last I saw hypermarkets are selling them at RM60 per kilogramme. Expensive stuff. Once you have ordered the seafood, you may choose to stay and wait or have them delivered to your seat. The latter would be risky because someone may take it, don’t expect the chefs to remember which is whose orders. This is my first plate of BBQ Seafood. 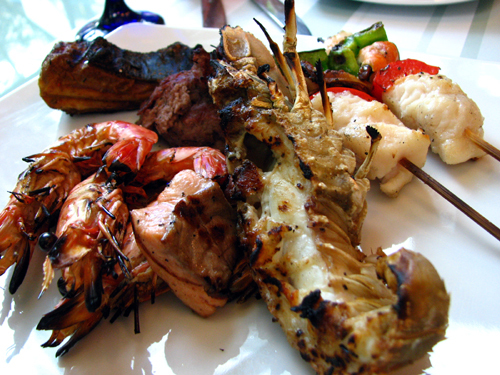 A couple of prawns, skewers, lobster, beef patty and a tiny piece of stingray. Avoid the beef patty at all cost, it was tasteless and kinda hard. Terrible stuff. 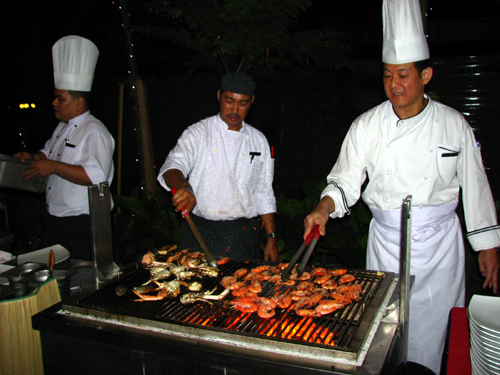 The way the chefs barbecue the seafood is very simple, they just sprinkle some spice (I guess salt) on it. The lobster’s meat is tender and sweet but some may have a tad too much salt sprinkled on, making them inedible. 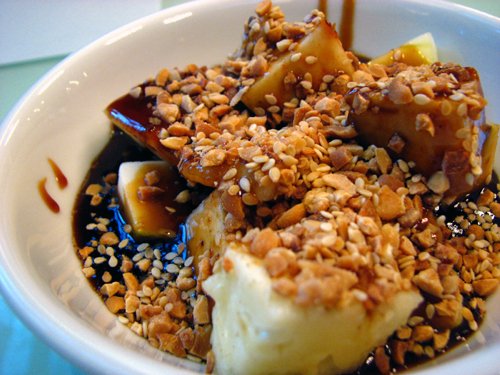 Then we continued with a bowl of rojak. We were very generous with the peanuts lol. 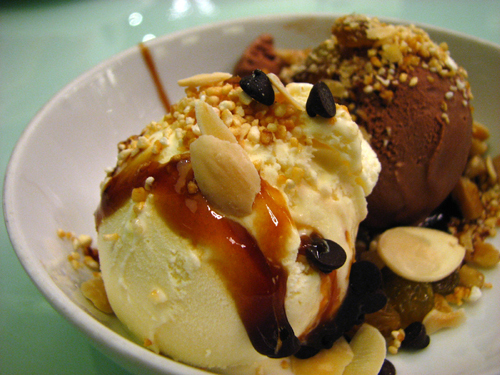 Followed by vanilla and chocolate ice-cream. Then we decided to have more. 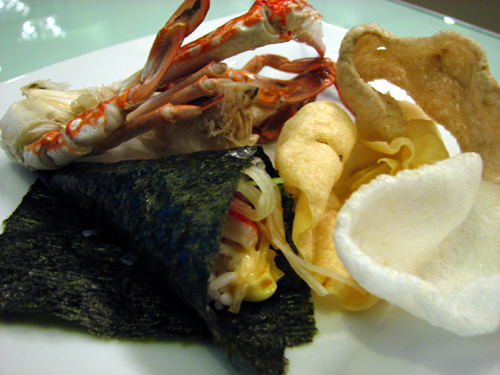 Some crackers, hand rolled sushi and crabs. 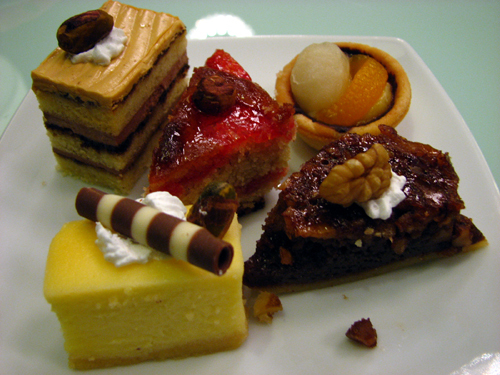 Lastly, some cakes for dessert to end the meal. I must say it were the cakes that actually made us full lol. 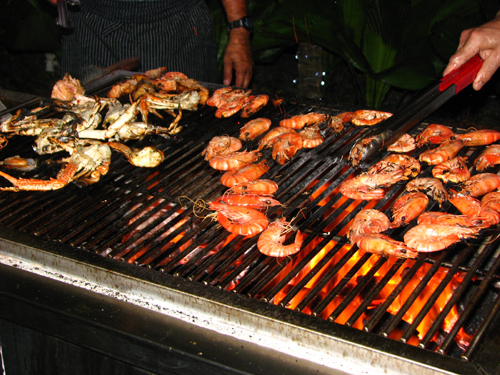 For those interested in this BBQ Seafood Buffet, it’s RM68 per person excluding 10% service tax and 5% government tax. It’s located within G Hotel just beside Gurney Plaza. You can’t possibly miss this place.